Something strange is happening in the Welsh mountains. It should be the middle of summer, but Snowdonia has been beseiged by blizzards and ice storms. A company of Arctic-trained soldiers sent to investigate has disappeared and the only remaining hope is a secret troop of yeti agents - the Mythical 9th Division. Long, long ago, an underwater archaeologist discovered an ancient and powerful jewel buried deep in the waters of the Pacific Ocean – the Stone of the Sea. Many years later, the same archaeologist, Christian Krall, has used the stone to bring every mythical sea creature on the planet under his control. Now he is plotting to destroy the world from his watery lair off the east coast of Australia. With the Mermen of the Mythical 3rd Division out of action, it falls to the Mythical 9th to stop Krall from creating the biggest tsunami the world has ever seen – a tsunami big enough to obliterate the Earth. Fed up with vampires? Bored of werewolves? Have no fear, the yetis are here! It is such a great idea that I am a little surprised that no-one has come it with it before. Surprised and also very relieved as I am not sure anyone else could have done this in such a fun way as author and illustrator Alex Milway has. The premise is super cool - unbeknownst to the general public, following "the formation of the United Nations in 1945 it was decided that all of the mythical troops of the world should be ratified and united under one top-secret umbrella organisation: L.E.G.E.N.D.S. (League of Extraordinary and Genetically ENhanced Defence Squads)." The Yetis are the 9th Division of this covert organisation, with the likes of Norwegian Trolls, Mermen of Atlantis and Bigfoot of America making up some of the other elite fighting units. The Mythical 9th is a Division of only three yetis, but they are no less formidable for this lack in numbers. Like all good crack commando units each member has a skill set and personality that makes them indispensable: first up there is Albrecht, leader of the unit and the most agile of the three; next there is Saar, vegetarian scarf wearer he is the oldest of the three and brings wisdom to the mix; and finally there is Timonen, a huge hulking brute with a yak-fixation who is very much the muscle of the team. When reading these books I was very much reminded of The A Team, albeit an incredibly hairy version working on the side of the law. Not just because of the different skills each member brings, but also the friction occurs between them due to their differing personalities. Timonen shows disdain at Saar's wearing of a scarf ("I'm embarrassed to be seen with him"), whilst Saar despairs at Timonen's lack of manners and that has has "nothing but fur for brains". Albrecht finds himself constantly having to play the role of mediator between the two (just as Hannibal Smith did between BA and Murdoch). However, all petty squabbles are put aside when it really matters as the Mythical 9th are thrown into action against any egotistical would-be world dominating madman that decides to rear his head. 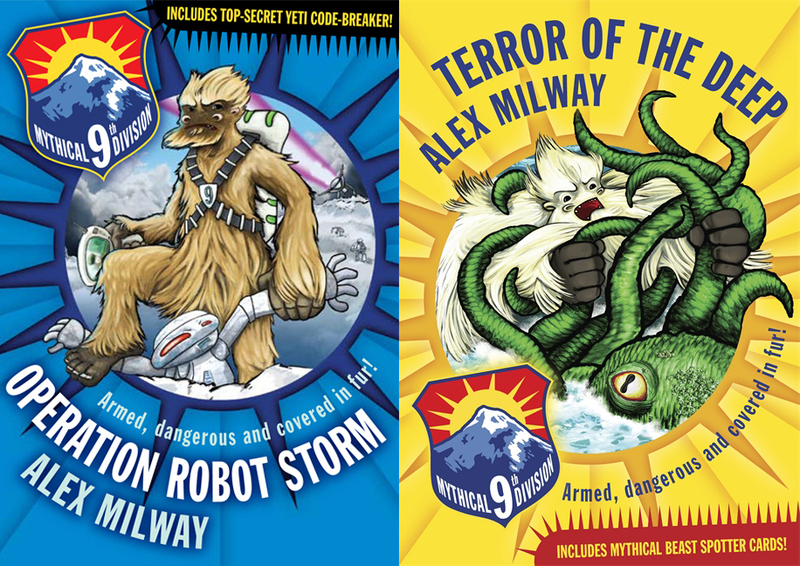 Alex Milway's writing is fast paced and laugh out loud funny and absolutely perfect for the 7+ age group. However, these are special for another reason - Alex Milway is also an very accomplished comic illustrator, and the illustrations that complement his anarchic action stories are an absolute delight. I found myself racing through the story to get to the next page with an image on it; and these pictures are not just there to accompany the text - they are also used to tell parts of the story. As a result of this these books are perfect for reluctant readers and also kids who struggle with page after page of seemingly endless words. I read the first book in the series a few weeks ago, shortly after meeting Alex and the Crystal Palace Children's Book Festival (Alex was instrumental in the organisation of the festival) and I was hooked on the story after the first chapter (an inter-division race to the summit of Everest between Albrecht and a Bigfoot from the Mythical 6th Division). I was therefore really chuffed to receive a copy of the sequel from Walker Books, a book that I enjoyed even more than the first - slightly longer, more illustrations, and also the wonderful yowies of Australia. I think these books will grow and grow in popularity as more kids discover them and start raving about them in school playgrounds around the country. 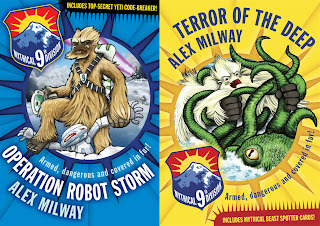 You can find out more about the Mythical 9th at their website; Operation Robot Storm is available to buy already and Terror of the Deep is scheduled for release on 6th December (and I can't think of a better stocking filler for a 7+ boy this Christmas). 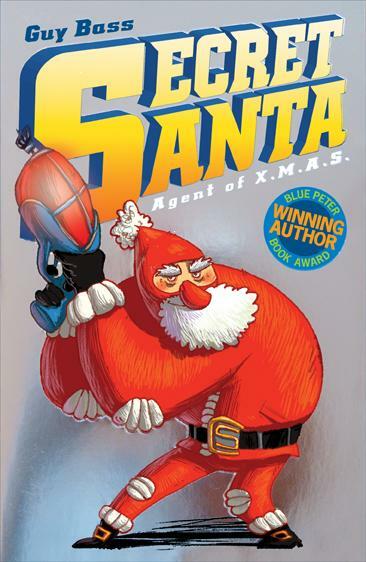 Santa is for life, not just for Christmas with this fab new book from author Guy Bass and illustrator David Lopez. Continuing my focus on picture books I turned to this little beauty, kindly donated to my cause by the generous Lauren Ace at Stripes Publishing. Many people assume that picture books are for younger readers but illustrations in books are just as important in books for many children in the 8-10 age group, especially if they are struggling or reluctant readers. Images relating to the story help these readers engage more readily with the plot, and also help break up that big blocks of text that can scare off some children. Secret Santa: Agent of X.M.A.S. is the perfect book for all children in this age range, struggling reader or more confident they will love the crazy and hilarious adventures of this new superhero and his eleven sidekick. I am sure many children over the years have asked the incredibly important question: What does Santa do for the other 364 days of the year? And I am sure most of them have been fobbed off with standard answers such as "sleeping" or "making toys" or such like. Now, however, the truth has finally been revealed - the man in red is actually the top agent for the Xtremely Mysterious Agency of Secrets (X.M.A.S.) and spends those 364 days saving the planet from the dastardly actions of the world's most dangerous criminals. A team of highly-trained Elf Agents work tirelessly to monitor all kinds of criminal activity and add the most deadly perpetrators to The Naughty List. No reindeer pulled sleigh for this Santa though, he needs something far more practical - in this case it is a Mark 499 Sleigh, a high speed vehicle that can travel on land, water and, of course, through air.... but that's not all: by activating its quantum core good old SC can also travel "at the speed of time" (well how else could he deliver so many presents to so many children all over the world on that one day a year when he takes a break from crime-fighting?). This book (which I hope will be the first of many) sees Santa being given a new Little Helper, an elf aptly named Jingle Bells who has supposedly come "top of the tree" at X.M.A.S. Academy. I say supposedly as Jingle Bells has a secret he wants to hide from everyone, but in doing so he finds himself thrown head first into a life threatening mission on his first day on the job, and quickly discovers that working for X.M.A.S. is not all about making presents to be delivered at that festive time of the year. As a reluctant sidekick to the heroic secret agent Santa Jingle Bells provides many of the hilarious moments that will have kids and parents laughing out loud together. We are also treated to a maniacal master villain who wants to dominate the world through extreme climate change - starting with a new Ice Age for the USA. Guy Bass obviously has an off the wall sense of humour, and uses this to give new meaning to the many well known and loved legends and stories that surround Santa Claus. He is aided and abetted by the fantastic illustrations of David Lopez, used to both add humour and detail to the story (although I so wish they were in colour). There are some pretty complicated words at times in this story, but I don't think this should put off readers of 7 or 8 - with a little help they should cope fine, although they would enjoy it even more if read to them by a parent as a bedtime book. As competitions go this one is pretty special. In my hands I have a signed copy of a completely unpublished short story written by Terry Deary, the genius author of the Horrible Histories series. It is his take on the Little Red Riding Hood fairy tale and is totally unique - nobody else will have this except for the winner and the author himself. It is printed on eleven sheets of A4 paper and the font page is signed and dated by Terry. This would be something pretty special for any fan of Terry Deary's work. In order to be in with a chance of winning this very special item all you have to do is answer the simple question and fill in your details on the form below. The first name drawn at random after the closing date will win a copy of the book. Deadline for entries is 8pm Wednesday 1st December. This contest is open worldwide. 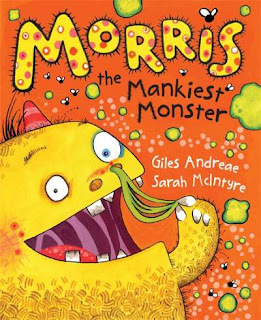 Giles Andreae and Sarah McIntyre would like you to meet Morris, the world’s stinkiest picture book hero… It’s years since he last changed his t-shirt It’s crusty and crawling with ants His shoes are all slurpy and squelchy inside And potatoes grow out of his pants. Over the last few months I have had several emails from parents asking why I don't review many books for younger boys, and more specifically picture books. I guess the main reason is that as a secondary school teacher my main focus has always been the 11+ age range, and we don't really have many picture books in our house, although I still have fond and vivid memories of some of the picture books that I read (or had read to me) as a child. And so I have decided to rectify this on the run up to Christmas, and what a book to start with. So he keeps the walls wet with his tongue". And his eyebrows are riddled with fleas". Revolting, yes? Well now imagine the illustrations that go with it and you will have a very good idea of what this book is like - Sarah McIntyre certainly does not hold back with her illustrations of Giles Andreae's hilarious rhyming words. Just look at the cover image above - I'm not sure I will ever be able to eat stringy cheese again! Sarah's illustrations are all beautifully drawn, with an incredible attention to detail that will have children poring lovingly over the pages looking for all the nastiest little creatures that live in Morris's house, and more disgustingly on his body. If there was ever a book that should come with a guarantee that it will be loved by children it is this one, and their parents will love it as well. Experts claim that one of the best ways to get children interested in books at an early age is for their parents to read to them. For boys, this is even more important, and especially if that parent or carer is male. However, to many parents reading to their kids can be seen as something of a chore, especially after a long day at work, but reading books like Morris the Mankiest Monster could never be classified as a chore - it is just so much fun. Morris the Mankiest Monster is available to buy right now, and my thanks go to the generous people at Picture Corgi for sending me a copy. When you pick up a new Marcus Sedgwick book you never know what to expect from the author as he has become a master of surprises and loves to keep his readers guessing as to what twist or turn his story will take next. And yet again he took this reader completely by surprise - this book was totally different from what I had expected, and all the better for it. The story is told from three different points of view. There is Rebecca, daughter of a policeman who has taken the pair of them off to a small seaside town for the summer; we are not initially informed what he is trying to escape from, but this is revealed as the story progresses. Next there is Ferelith, a seemingly friendless, and certainly eccentric local girl who appears to be very keen to befriend Rebecca, a notion that the new girl in town initially resists. The third voice is one from the past, written as the journal of the local rector back in the 17th Century. For me the story as told by the two girls flowed well, with tantalising snippets of information being revealed as the story progressed. However, even though it sometimes interrupted the flow of the modern day story, the Rector's journal is the device that really got my mind whirring, and made me start trying to fill in pieces of the main story, often with an intense feeling of creeping dread. This is one hell of a creepy story, but not the kind that will necessarily appeal to fans of the more gory aspects of horror. Although there are some bloody moments, the real scares in this book are purely psychological, so if you like your horror to really play on the primal fears that lay buried deep in your mind then this book is most definitely for you. And the character of Ferelith is one of the principle causes for this. Right from the first time we meet her we know there is something not quite right about her; her mind obviously does not work in quite the same way as your average teenage girl's, but these differences, that initially seem like eccentricities, soon had me knowing that she is not the kind of person I would like to turn my back on. This strangeness in her personality adds a wonderful amount of suspense to the story, as we constantly wonder whether Rebecca is actually safe in her company. 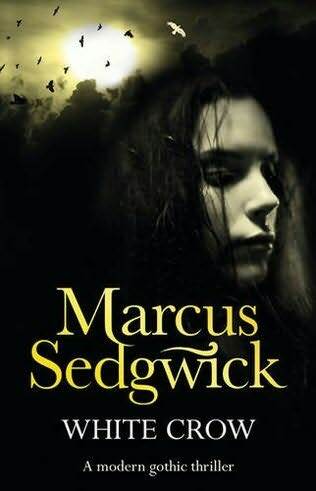 In addition to this her character also ensures that element of unpredictability that I so love in Marcus Sedgwick's storytelling. To say much more would be to give too much away about this story. It is a dark gothic mystery, with an intelligence that will really make you think. It requires reading in as few sittings as possible, but maybe not when you are alone on a dark cold night; if you do then you may not get much sleep that night - elements of this story played on my mind and entered my dreams for some days after I finished it, and even now, some time later, writing this review has brought back some slightly uncomfortable memories of the truly chilling ending to the story: Ferelith is a character that could haunt me for some time to come. When Colin and Susan are pursued by eerie creatures across Alderley Edge, they are saved by the Wizard. He takes them into the caves of Fundindelve, where he watches over the enchanted sleep of one hundred and forty knights. But the heart of the magic that binds them – Firefrost, also known as the Weirdstone of Brisingamen – has been lost. The Wizard has been searching for the stone for more than 100 years, but the forces of evil are closing in, determined to possess and destroy its special power. Colin and Susan realise at last that they are the key to the Weirdstone’s return. But how can two children defeat the Morrigan and her deadly brood? I have been quite ill over the past week, spending pretty much the best part of four days in bed. Quite scarily, for the first three of those days I struggled to read as I couldn't focus on a book for more than ten minutes at a time. 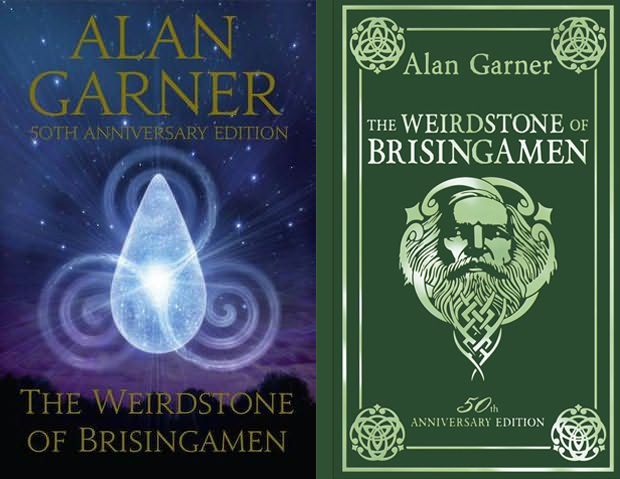 Friday however saw a great improvement in my concentration and ability to stay awake and so I made a visit to my ever-wobbly To Be Read pile and for some undefinable reason selected this book, The Weirdstone of Brisingamen by Alan Garner. This book has been sat on said pile for some time, but has often been overlooked - it was first published fifty years ago and with so many new releases coming out reading it was never a priority. 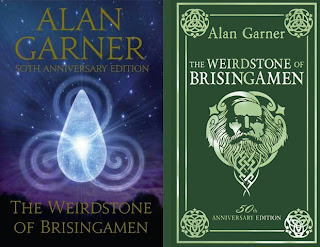 However, I recently read several comments about Weirdstone by author David Gatward, and in particular an interview he did for fellow Chainsaw Gang member Alexander Gordon Smith where he explains: "[My] biggest influence might be Weirdstone of Brisingamen, by Alan Garner. It was the first book I didn't just read, but experienced. I was 11. It made me want to write stuff that would make people feel the same way I did when I read it. Particularly the bit in the cave, where they're being chased by the svarts and the cave gets narrower, they can hardly move... then they come up against water and they've no choice but to go through. Unreal! And terrifying!" Praise indeed from an author whose work I have greatly enjoyed and so I decided to take the plunge. This year was the 50th anniversary of the first publication of this book, and the reason I received a copy from HarperCollins is that it has been re-released in both an anniversary paperback edition, and also a stunning commemorative hardback edition. Incredibly, this book has never been out of print in the fifty years since its birth - how many of today's releases will be able to claim this in half a century's time? This suggested to me that there was something pretty special about this book, but as I started reading it I was still half expecting a dated fantasy story with little interest or relevance for the young readers of today. I couldn't have been more wrong, and I will be buying copies for my godchildren for Christmas as I feel it is a book that they should read and will definitely enjoy. My only regret is that I was never given this book as a child and have had to wait until now to 'discover' it. The Weirdstone of Brisingamen tells the story of Colin and Susan, siblings who have been sent to stay with a friend of their mother's whilst she journeys abroad to be with their father. This friend and her husband, the wonderfully named Gowther Mossock, live in Alderley Edge, a small settlement near Macclesfield in Cheshire. On their first afternoon in their new temporary home Gowther tells the children a legend of the area, about a farmer who met a wizard who takes him deep inside the hill and shows him an army of 140 silver-armoured knights, in a deep magical slumber. These knights, the wizard explains, will wake when England needs them most. The wizard then gives the farmer a fortune in gold and gemstones in exchange for the horse he failed to sell in the market earlier that day. This story ignites the imaginations of the two children, who that evening venture up to the Edge, in an excited hunt for the wizard of the story. What they find is both unexpected and completely terrifying, until they are rescued by the ancient wizard himself, Cadellin who explains the full legend of the knights of Alderley Edge, and the long lost Weirdstone that was created to protect the area from evil. Safely back at home the children soon discover that their lives are already tied to this legend as they deduce that the charm that Susan has worn around her wrist for many years is actually the missing Weirdstone. However, in their haste to return it into the safe-keeping of Cadellin they are again attacked on the edge and the stone is lost to an ancient evil, with potentially disastrous consequences. The rest of the story details that perils that the two face in their attempt to retrieve the Weirdstone and the character and creatures, both good and evil, that they encounter on the way. Two of these characters are, Fenodyree and Durathror, dwarves who become the protectors and guides of the two children as they lead them through the maze of tunnels and caverns that make up the underworld that lies beneath Alderley Edge. For me, this underground flight for freedom was the most exciting and terrifying part of the story, and I completely understand why so many people laud it as the most memorable aspect of the story. This edge-of-your seat journey last for more than sixty pages of the book, and yet I was so tense reading it that the story rushed by; be warned - if you suffer from claustrophobia then you may not make it through in one piece. There are a number of elements that make this stand out from many other fantasy stories for young people. First of all, the geography of the setting is all very real, and an area that Alan Garner knows like the back of his hand, given that it is the area in which he has spent most of his life, and this makes the story seem all the more real to the reader as it is no far off mythical land. The evil is not all fantastical either: many of the scores that search for Susan, Colin and the Weirdstone are locals from the area, people that Gowther has known for years, but who are actually witches, warlocks and members of the morthbrood, now disguised in plain sight as seemingly harmless hikers, so the hunted have no idea who they can and can't trust. This is a book that has for its roots the folk tales and legends that the author grew up being told by his parents and grandparents, stories that were passed down by word of mouth over centuries. This is a book that every child should read at some point, and I am sure that many will be inspired to delve deeper into the fantasy genre; some may even be inspired to become fantasy authors themselves. A look at some of the hugely successful authors who cite it as an influence should be testament to this, including the likes of Philip Pullman, Garth Nix, Neil Gaiman, and Jonathan Stroud. It is not a book that less confident readers will necessarily find easy as Mr Garner has Gowther Mossock speaking using local dialect, which some children may struggle to follow at times, although the story is so good and perfectly paced that this just may not bother them at all. I am hugely grateful to HarperCollins for sending me a copy to review, and to David Gatward for bringing this long overlooked gem to my attention in the interviews he has done for The Book Zone and others since the release of The Dead (and also for his permission for the quote near the start of this post). Well done and thank you to the hundreds of you who entered. I will now endeavour to contact the winner through by email. Please reply within 48 hours or I will draw another name out of the hat. Many thanks to Macmillan for providing the prize. This time last year I reviewed Rick Yancey's The Monstrumologist, a dark and twisted gore-fest of a book for older teens, perfect for horror-loving readers weaned on books by the likes of Darren Shan. It took me a little while to get into that book, as it was unlike many of the teen horror stories I had read previously: the book is narrated as if it is the journal of a recently deceased elderly man and as such the voice and language is far more mature than you would find in many books for readers of this age. It was most definitely a book worth persevering with though as it now definitely ranks amongst some of my favourite horror books, and I have been waiting impatiently ever since for the sequel. The Curse of the Wendigo finds young Will Henry still living with the moody and unpredictable Dr Warthrop. Warthrop's world is thrown into disarray very early on in the story when he discovers that Abram von Helrung, one of the world's most eminent monstrumologists, intends drop something of a bomb-shell in an address he plans to make to the gathered experts at the Annual Congress. Despite being a monster hunter, Warthrop does not believe in the likes of vampires and werewolves, creatures he firmly believes a nothing more than myths, and a statement of belief by von Helrung would undoubtedly threaten the legitimacy of the profession. Shortly after receiving news of this he is visited by his ex-fiance, Muriel Chanler, who informs him that her husband, one of Warthrops oldest friends, has taken himself off to Canada in search of the Wendigo, one of these so-called mythical beasts that von Helrung claims dies exist. The wendigo, or lepto lurconis, is believed by some to be a spirit that can possess humans and create in them an insatiable cannibalistic appetite, made all the worse by the way that the more it eats the more is starves. Despite his estrangement from his long-term friend Warthrop is compelled to make the journey with Will, deep into the Canadian wilderness, and what they eventually find there is not a pretty sight at all. It is not creating a spoiler to say that they find the missing John Chanler, but his physical and mental condition nothing short of terrifying. The journey back to civilization is a long and harrowing one, fraught with danger, and the monstrumologist and his assistant barely make it back alive. However, a safe arrival home is not the end of the story, as when Chanler is taken to New York to recuperate, conveniently at the same time as the Annual Congress of Monstrumologists, the horrors really begin. This is a very different story from its predecessor: the pace is much more exciting for a start. In the first book in this series there were many scenes where the plot tended to drag a little, even though these scenes helped build the tension that later explodes towards the latter third of the book. Many less confident readers would not get this far though, as I am sure they would not have had the patience that I did. The Curse of the Wendigo however gives a much greater adrenalin rush throughout, as the action scenes are more frequent. This is not at the cost of the build-up of tension though, as the story still has you sitting on the edge of your seat, fearing for the characters and what may happen to them net, especially as it seems that no-one can be considered safe in one of these stories. Another welcome 'improvement' on The Monstrumologist is in the character-building. We saw a great deal of Will and Warthrop's characters in that first book, but we now see them develop even further. We are also treated to a greater entourage of characters than we saw previously, especially when the story reaches New York and we get to 'meet' a host of colourful creations in the form of the various monstrumologists who have gathered in that great city. Mr Yancey displays great skill in showing the tensions and/or respect that exists between this group of men, many of whom are both friends and rivals. The author uses the characters, their dialogue and their surroundings to create a wonderful sense of place - as a reader I found it very easy to picture in my mind the New York of November 1888. The Monstrumologist was a particularly gory book, and this book is no different in this respect, although this time the horror hit me on a much deeper level than before. Again, I feel that less confident readers will definitely struggle with this book, book more mature horror lovers with strong stomachs will absolutely love it. 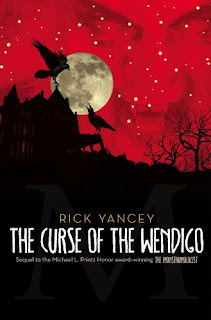 The Curse of the Wendigo was published at the beginning of October, and my thanks go to the generous people at Simon and Schuster for sending me a copy to review. I recently posted a review of Red Leech, the second book in Andrew Lane's Young Sherlock Holmes series. Now, thanks to the generous people at Macmillan I have copy to give away to a reader of The Book Zone. In order to be in with a chance of winning a copy of this book all you have to do is answer the simple question and fill in your details on the form below. The first name drawn at random after the closing date will win a copy of the book. Deadline for entries is 8pm Friday 12th November. This contest is open to UK residents only. 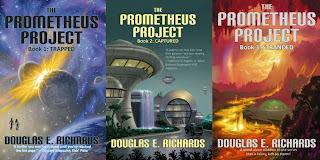 Back in July I wrote a review about a trilogy of books by American author Douglas E. Richards. 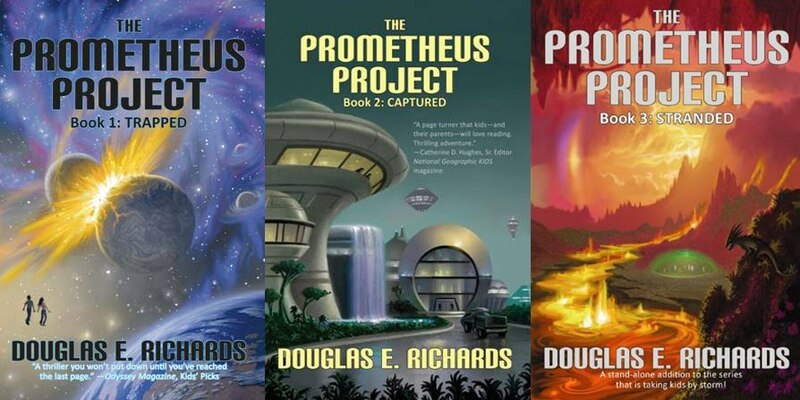 His Prometheus Project books are old school science fiction, with aliens and strange worlds and the sort of books that there simply are not enough of these days. These are the sort of books that could encourage youngsters to delve further into the world of science fiction, and perhaps eventually lead them to a life long love of the genre. At the time of writing the review these books were sadly only available in the US, although it was possible to find them in the UK if you hunted around. I know this disappointed a few readers of The Book Zone as I received a number of emails on this subject. However, I received an message from Doug recently to inform me that all three of the books are available to buy as Kindle editions from Amazon (you can see them by clicking here), and they should also soon be available as ebooks from Waterstones and WH Smith. This was news that I thought was definitely worth sharing with you all; hopefully we will see more and more excellent US-only published books heading this way in electronic format thanks to the increasingly popularity of the Kindle, ipad, etc. It is 1940 and war is underway. In Sheffield, England, a brother and sister set out to solve a mystery, brazenly believing that the air-raid signals are only false alarms. In Dachau, Germany, two boys come up with a bold plan to bring an end to the war and help a Polish prisoner escape. But when the bombs falling on Sheffield become a reality, and the German boys plan hurls them unwittingly into the midst of the action, the children's adventures swiftly become a terrifying fight to survive. Terry Deary is a a writing god. His Horrible Histories books have turned so many children on to history, and I often wonder whether I might have been a little more successful in my O-Level history exam if those books had been my main source of information instead of the dreadfully boring teacher I have mentioned in a couple of previous posts. 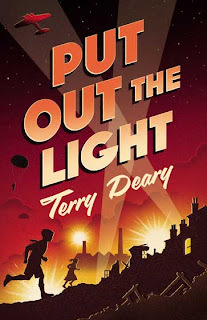 He is also the author of a host of fiction titles for young readers, and Put Out The Light is the latest of these (and, would you believe it, his 200th book). It was released at the beginning of September, on the 70th anniversary of the of the start of the Autumn 1940 Blitz. Put Out The Light follows the lives of two different groups of children: in Sheffield we follow the story as narrated by young Billy Thomas, whilst in Dachau, Germany the story is told from the third person and focuses on Manfred and his friend Hansl. Billy is very much a typical schoolboy growing up in a difficult time, and the story starts off during the school summer holidays as he and his sister Sally run around their suburb of Sheffield as darkness falls, searching for excitement and making fun of the friendly Air Raid Precautions (ARP) warden as he does his rounds bellowing "Put out the light!" at any offending household. Meanwhile, over in Dachau, Manfred and Hansl are equally typical examples of boyhood, yet their society is even more difficult as they have to constantly think before they speak in order to toe the line of the ruling Nazi Party. The book consists of a different storyline for each of the two key locations. In Sheffield the two siblings suspect that someone has been stealing small amounts of cash from many houses in the neighbourhood, whilst their residents are waiting safely in shelters whilst the air-raid sirens sound. This all becomes a big game for them, as they pretend to be like their favourite radio detectives, Sexton Blake and his assistant Paula Dane. Over in Dachau Manfred is playing a much more dangerous game as he is plotting to help a young Polish girl called Irena escape from the factory in which she is forced to work, and the concentration camp she must live in when she isn't working. Time is running out for Irena and her fellow Polish prisoners as it was around this time that the Nazis started killing more and more of the people they believed to be sub-human. These two storylines are complemented by the narrative taking occasional short visits to focus on other secondary players, whose parts seem fairly unrelated at the beginning but become increasingly more important as the story progresses. We therefore witness the young RAF pilots on their training missions, or waiting with nervous and excited anticipation for the call that will have them scrambling in their Hurricanes to head off the Luftwaffe's bombers as they head towards Sheffield. We also spend some time with their German counterparts, the men who will just as bravely take to the skies, but theirs is an attack mission with the sole aim of dropping bombs on British factories and airfields. At no point do these excursions away from the two main storylines cause us to lose the thread of the overall plot - instead they give us an even greater sense of being there. I found the two concurrent storylines very tense and engaging, although I have to admit that I preferred the Sheffield-based story. Part of this is because of the great voice in which this part of the story is told; Billy tells is exactly how it is, and his relationship with his sister is both funny and heart-warming. Sally is a great character - she is the typical annoying little sister whose mouth gets her and her brother into trouble time and time again - and she has most of the best lines in the book. I did struggle at times with Manfred's story as I found I had to suspend disbelief a little more and question whether a German boy would have risked all to save a Polish girl who he hardly knows. Despite this thought I still found their story very exciting and tense, and I think 9+ kids will love it. It is, after all, not supposed to be a historical documentary; it is a story about young people not really understanding the true nature of war and all the horrors it brings, and the courage and resilience they can show in these situations. In my opinion, there aren't enough books set in this period published these days, although more recently we have seen the likes of John Boyne (The Boy In The Striped Pyjamas), Paul Dowswell (Auslander) and Craig Simpson (Special Operations series) addressing this situation and producing some excellent World War II stories for Young Adults. With Put Out The Light Terry Deary has produced a hugely enjoyable book for a slightly younger audience and I hope that other authors will continue this pleasing trend as it is such a fascinating time in which to set stories for young people, many of which will study this period at some point in their school careers. Put Out The Light was published at the beginning of September and my thanks go to Annie Macfarlane at Yomego for sending me a copy to review. 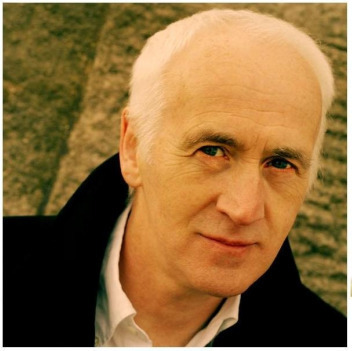 If you are a fan of Terry Deary, whether it be his fiction or his brilliant Horrible Histories books, then watch this space as I will soon be announcing a related competition with an incredible Terry Deary prize. Well done and thank you to the hundreds of you who entered. I will now endeavour to contact the winner through by email. Please reply within 48 hours or I will draw another name out of the hat. Many thanks to Panama Oxridge for providing the prize. Today is the inaugural National Non-Fiction Day, an annual celebration, initiated by the Federation of Children's Book Groups in partnership with Scholastic Children's Books. It aims to celebrate all that is brilliant about non fiction and show that it’s not just fiction that can be read and enjoyed for pleasure. When I first received an email about this day I felt a little guilty as I realised that I had never reviewed a non-fiction book on The Book Zone. This is despite first hand experience of seeing how popular non-fiction can be amongst reluctant readers, and especially boys, but as fiction is my own personal preference (and always has been) and there is only so much time in the day to read, that is the direction I have taken with this blog. However, even boys who claim that they never read probably do read more often than they realise, but quite often they have been conditioned to believe that only fiction counts as 'proper' reading. Last year my school took part in a reading survey for the National Literacy Trust, and one of the questions asked students which, out of an extensive list, did students read outside of class at least once a month. That list included (in this order): websites; blogs/social networking sites; newspapers; magazines; comics or graphic novels; emails; fiction books; song lyrics; poems; plays; text messages; non-fiction books; and manuals/instructions. Yes... all of these count as reading, and a quick glance shows that many could be counted as non-fiction. I aim to use the rest of this post to highlight some of the great non-fiction books that are out there at the moment. 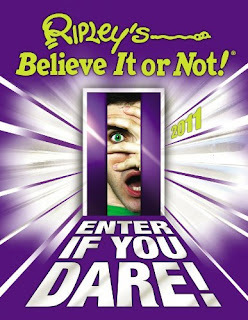 Following hot on the heels of last year’s best-selling edition, Ripley’s Believe It or Not! 2011 offers a whole new feast of bizarre facts and features to enthrall and entertain. Be amazed at the pink dolphin, the girl no bigger than her schoolbag, and the island of lost dolls. Gasp at extraordinary true tales about vampires, the Ripley's waxwork gallery, and the feats of sword swallowers past and present. Illustrated throughout with colour photographs and two pullouts featuring astounding lifesize images, this fascinating book is a must-have for anyone who loves jaw-dropping images and unbelievable facts. Without a doubt, the most popular two books in our school library are the Guiness Book of Records and Ripley's Believe It Or Not! In fact, some boys race into the library at the beginning of break time in order to get their hands on these. The first of these two books looks very different from the text heavy volumes that were published when I was a child - these days it is page after page of colour photos and images, and the text has been significantly cut down. Ripley's Believe It or Not! is a similar format, although the content (at least most of it) is wildly different. If you have not yet laid eyes on these annual volumes then you may be in for a shock - they are the printed version of the Victorian freak show, combined with myriad bizarre and amazing facts. In other words, just the kind of thing that eleven year old boys love; I have watched them devour these books at breaktime, standing around in groups laughing or squealing at its various weird and wonderful contents. And they are not just looking at the pictures, they delight in reading out loud to each other the commentaries that accompany the often lurid images. Ripley's Believe It Or Not! is published by Random House (the adult rather than the children's section of the company), and the 2011 edition is out right now. Have a look at it - at first glance it may not look suitable, but your boy will love it. And if he does, it is worth noting that Arrow Books (an imprint of RHCB) now publish a series of fiction books under the heading Ripley's Bureau of Investigation, that are great fun reads for the 7-11 age group. Last month I wrote a review of one of Simon Cheshire's Saxby Smart detective books, as well as his new Detective Handbook, a non-fiction book that young detective fans will really enjoy. 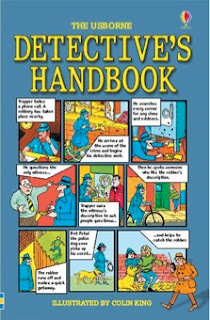 In that post I briefly mentioned two books that had been well-read favourites of mine when I was at primary school - The Spy's Guidebook and The Detective's Handbook, both illustrated by Colin King (with text by a variety of contributors) and both published by Usborne. Little did I realise when I wrote that review that Usborne still publish both of these books, and now my long-lost paperback copies have been replaced by two stunning volumes, spiral bound between hardcovers. I simply cannot praise these books enough as far as encouraging boys to read is concerned. I was always an avid reader, and loved mystery stories, but my younger brother hated reading and rarely ever picked up a book voluntarily. Except for these that is: I think he wanted to learn about codes and stuff so he could spy on me, and this led to him regularly 'borrowing' my copies for hours on end, and I think modern reluctant readers between 7 and 11 will find these books just as fascinating as we did. However, be prepared to provide your new young detectives and spies with all kinds of items that they will need to equip themselves with, such as talcum powder for fingerprint kids, old clothing for disguises, torches for flashing morse code and plaster of paris for taking casts of footprints. 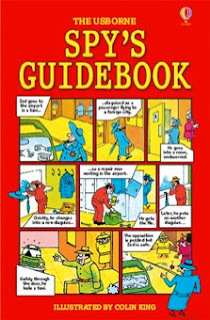 The Spy's Guidebook: A classic Usborne title for anyone who wants to be the best spy in the business.Packed with tips, hints and advice on all the tricks needed to be a super spy, including how to write and break codes, how to use disguise to avoid detection and how to stalk and shadow enemy spies effectively. 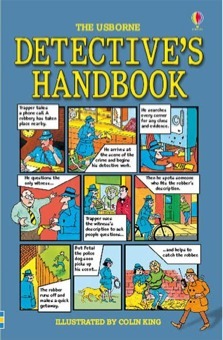 Includes spy-tests, observation quizzes and code-cracking challenges to check how much budding Bonds have learnt. The Detective's Handbook: Packed with tips, hints and advice on how to be an intrepid, quick-thinking super-sleuth.Includes how to identify fingerprints and handwriting and how to examine witnesses and find clues. Contains observation tests and code cracking quizzes to hone those investigative skills. I am not sure these really need much of an introduction but they are huge favourite of mine, and they turned my godson's brother on to what we think could be a life-long love of history. Written by Terry Deary, and illustrated in the most part by Martin Brown, these books have become firm favourites with children all over the country since The Terrible Tudors was first published back in 1993 (that one is still my favourite but it is a little scary to think that these have been around for more than seventeen years). Everybody talks about the Harry Potter books being the publishing phenomenon of the world of children's books, but surely some of that honour should go to Mr Deary and this incredible series. 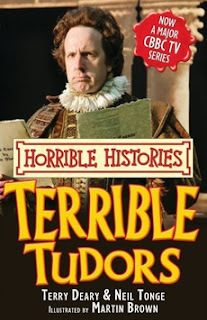 The Horrible Histories books have become such a huge part of the lives of many children since then it is hard to believe that in their early days they met with quite a lot of resistance from teachers and parents. But Terry Deary was spot on with his vision of fuelling an interest in the past in children by giving them "history with the nasty bits left in", in much the same way that thousands of children have been turned on to reading in recent years by the wave of horror books that have been published. Kids like gore, they love uncleanliness and they adore rude jokes, and the Horrible Histories books have all of these in abundance. Another wonderful aspect of these books is that they are timeless; barring a return to a society akin to the Puritan period that followed the Civil War I think these books will be enjoyed by children for many, many years to come, especially now that there is also a hugely popular BAFTA Nominated TV series to accompany them. New editions of the books have been published to tie in with this TV show, but more excitingly Scholastic and Terry Deary have also now started producing a brand new series, with the subtitle "A High-Speed History". There are two books in the series so far (Egypt and Tudors) containing all the nasty facts that made the original books so appealing, but presented in comic strip form and therefore being far more attractive to reluctant or struggling readers than their text heavy predecessors. Following the huge success of the Horrible Histories books, the all-knowing people at Scholastic must have put their heads together and brain-stormed what they should publish next that would be in a similar vein. They came to the same conclusion that I am sure many primary school teachers would have...... science. Kids love science and all those messy and incredibly exciting experiments! 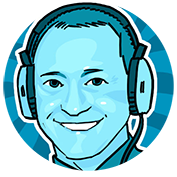 And so was born the Horrible Science series, with the writing baton passed to the hugely talented Nick Arnold, ably assisted by illustator Tony de Saulles. Titles such as Chemical Chaos, Disgusting Digestion and Deadly Diseases soon saw this series producing a legion of young science buffs, and I am sure that there will be many a university science student who can trace the genesis of their passion back to reading these books at primary school. 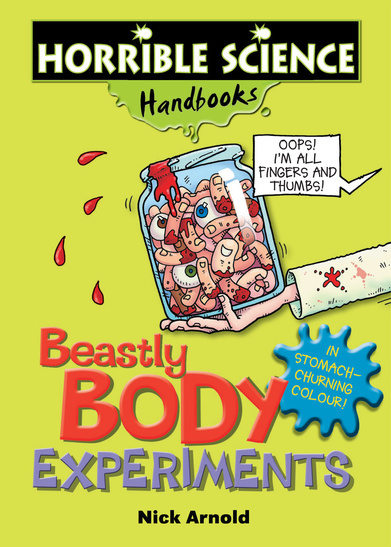 More recently Scholastic have also published a series of Horrible Science handbooks, larger format books, with full colour throughout, that are page after page of really cool experiments that kids can easily and safely (but possibly messily) carry out. 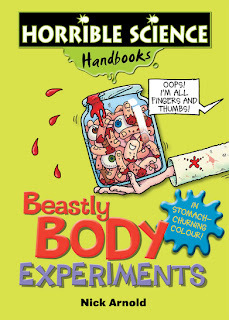 Confession time - I tried a few of the activities out in this book and they were so much fun; if you're kids like science then they will have hours of fun out of this book. This has been such a great fun post to write, and I really will try to feature more non-fiction books on The Book Zone in the future. My huge thanks go to the generous people at Scholastic and Usborne for providing me with review copies for this National Non-Fiction Day post. Edit: I have a contest now running on my blog where you could WIN a copy of Red Leech. Contest closes on Friday 12th November - full details can be found here. Anyone who read my review of Death Cloud, the first book in the Young Sherlock Holmes series from author Andrew Lane, will know that I am a huge Sherlock Holmes fan, and I loved that first outing. Taking on a task as huge as writing the back story for the world's most famous detective is bound to attract a lot of attention from die-hard fans, and I know that some of them have been somewhat critical of Mr Lane's efforts, stating that there was little of the Holmes power of deduction that they have come to know and love. I sometimes wonder how intelligent people can sometimes act so unintelligent when it comes to a subject they feel so strongly about: of course, the young Sherlock character is different from Conan Doyle's creation, he is after all only fourteen! Why can't these detractors look beyond this and spot the subtle details and experiences that Andrew Lane spread throughout his story that are the seeds from which the adult character will grow? Hopefully, this minority of angry fan boys will be silenced by Red Leech, the second volume in these chronicles of the young Holmes as I feel it is even better than Death Cloud. Having met the character in that first book we are now given a chance to get to know him properly; this is often difficult in a first-in-series book for young readers who demand fast pace and regular action scenes, and so second-in-series books are all the more important when it comes to character development. Andrew Lane certainly rises to this challenge with Red Leech as we start to observe the genesis of some of the mannerisms and beliefs that are so well known in the full formed adult version. Some of these moments in the story are very subtle, some are far more obvious, but almost every one I spotted sent a small shiver of delight down my spine, and created a smug knowing grin on my face. Mr Lane also pays more attention to the legendary Holmes thought process in this book, as the young Sherlock reflects on things that he sees or events that happen. Not all of these minutiae are directly related to the adventure he finds himself on, but many of them demonstrate the birth of a very logical mind. We see him thinking about coded messages for the first time, and admiring "the logical processes that could be used to deconstruct them"; and we witness the dawning of a theory in his mind that the creation of an encyclopaedia of tattoos could be a useful tool in identifying people and solving crimes. These and many other such moments are what make this book even more enjoyable than the first. Death Cloud was packed full of great action sequences, and the sequel is no different in this respect. 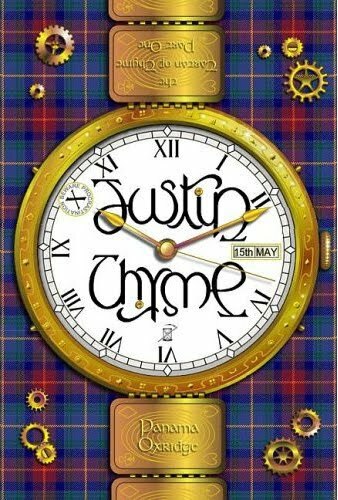 Sherlock finds himself escaping from the jaws of certain death time after time as the story progresses, but unlike modern heroes such as Alex Rider he does not have gadgets to help him out of sticky situations, he has to rely purely on his own intelligence and desire to stay alive. He is of course aided in this by his good friends Matty and Virginia, although quite often the final life-saving decisions end up falling to Sherlock as he finds himself having to get all three of them out of perilous situations. In Red Leech we also see the growing bond between Sherlock and Virginia, although given the misogynistic views of the adult Holmes I fear that Andrew lane may be slowly setting his readers up for a big upset sometime on the future. As in Death Cloud, we see Sherlock continuing to be tutored by the charismatic American, Amyus Crow. We also learn a little more about Crow's background and the reason he his living in England. The author ties this in with real events of 1860s America, revealing that Crow is an agent for the American government, sent to Britain to track down war criminals from the Civil War, a war that caused so many men to lose their lives at the beginning of that decade. We discover that John Wilkes Booth, the man who assassinated President Abraham Lincoln, is possibly alive and well and living in Surrey, rather than having been killed in 1865. This is the premise on which the rest of the plot is built, and in my opinion it works very well. It also sees Sherlock travelling across the Atlantic with Amyus Crow to help him track down Booth and his co-conspirators. Crow is the major influence on the young Sherlock and the development of his personality towards the adult character, but there were aspects of Holmes' character that haven't come from Crow, and so Mr Lane now also introduces us to Rufus Stone, a violin player whose voice holds "a slight Irish brogue". Yes, this is where we see Sherlock learn to play the violin for the first time, and I feel we will be seeing more of Stone in future outings. Another similarity that this book has with its predecessor is a particularly nasty villain. Death Cloud brought us the deranged and deformed Baron Maupertuis, Red Leech introduces us to the just as deranged and deformed Duke Balthassar. I won't say much about this particularly evil man other than that he has a fondness for leeches, using them, on...... let your imaginations run wild at the thought of that! Some might say that the two Andrew Lane created villains we have seen so far are over the top but I love them, and so did the Victorians - their penny dreadfuls and other publications were full of them. One part of the adult Holmes' character that we know so well his is overwhelming sense of what is right and what is wrong. I don't want to go into any detail here but there is a scene towards the end of the book where the young Sherlock finds himself having to agonise of the planned actions of others, actions he disagrees with despite these others being on the same side as him. I will not say what decision he comes to but it is a decision that will resonate with Holmes fans everywhere, and also reveals an early glimpse of the rebellious streak that lies at the heart of the adult Holmes. 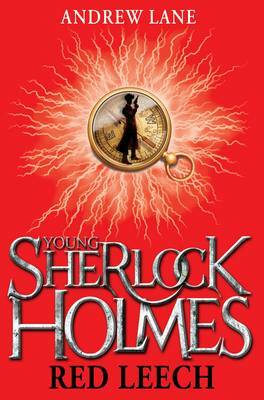 I am not sure when the next instalment of the Young Sherlock Holmes series will be released, although I have it on good authority that it will be entitled Black Ice. Red Leech however is scheduled to be published on 5th November although I wouldn't be surprised if it is in a lot of stores already. My thanks go to Dom and Macmillan for sending me a copy to review.